Reporting fraud can offer a wide range of benefits to Nebraskans. Fraud awareness is Nebraska's first line of defense against scammers. 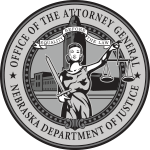 By reporting frauds and scams to our office, we can alert the State of Nebraska about current issues to help our state’s citizens protect themselves. Furthermore, we can look for patterns used by the scammers to help explain how the scams and frauds are being perpetrated. Unfortunately, once an individual has suffered monetary loss to a scammer, it is almost impossible to recover the funds. Reporting fraud can help others recognize the warning signs before it's too late. Please help us to help Nebraska by reporting scams and frauds here.